Spray 4- to 5-quart slow cooker with cooking spray. Place chicken in slow cooker. In medium bowl, stir peanut sauce and soy sauce until well combined. Pour sauce mixture over chicken; stir to coat evenly. Cover; cook on Low heat setting 3 to 3 1/2 hours or until juice of chicken is clear when thickest part is cut to bone (at least 165°F). Set oven control to broil. 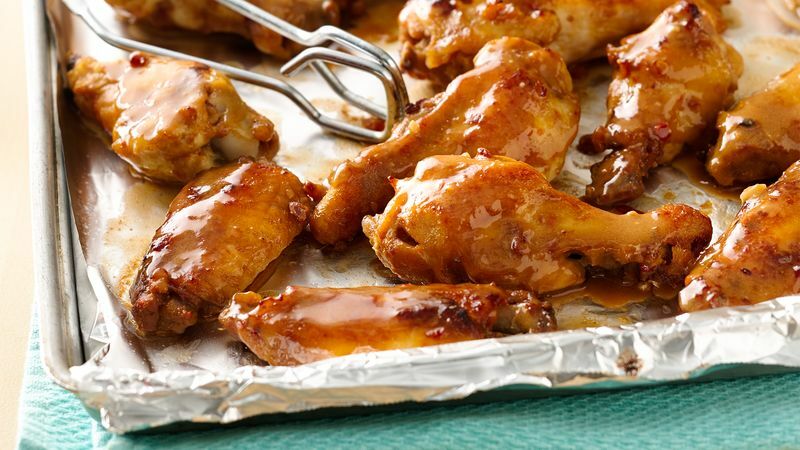 Transfer chicken wings to foil-lined baking pan. Broil with tops about 5 inches from heat 4 to 5 minutes or until crispy. Spoon 1/2 cup of the sauce from slow cooker over chicken. Discard remaining sauce. Serve your chicken wings with green onions, if desired.